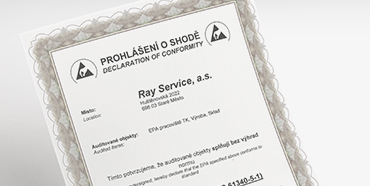 Certifications & Awards - Ray Service, a.s.
Ray Service, a.s. puts the quality of its products and services in the first place. This is demonstrated by the number of certificates obtained which are necessary for high demands of the aerospace and defence industries. The certificate is the proof that the company operates a management system that is proven by an independent expert body. 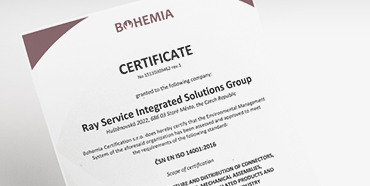 Certification company: Bohemia Certification. First certification: 2013. 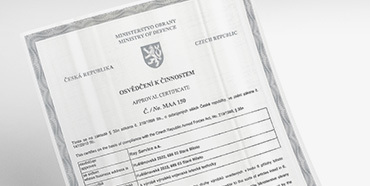 POA CZ.21G.0044 authorization in accordance with Part 21, Section A, Chapter G.
Certification company: CIVIL AVIATION AUTHORITY Czech Republic. First certification: 2005. 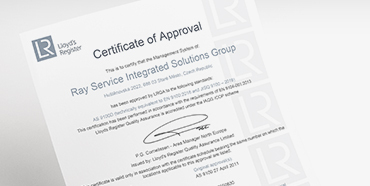 Certification company: LRQA. 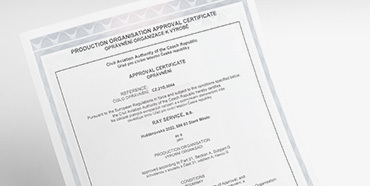 First certification: 2011. Certification company: Ministry of Defence of the Czech Republic. First certification: 2005. Certification company: Ministry of Defence of the Czech Republic. First certification: 2010. Certification company: VDE Testing and Certification Institute. First certification: 2015. 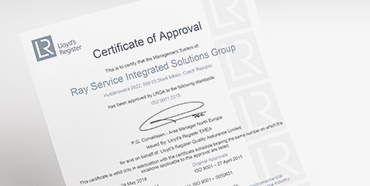 Certification company: LRQA. First certification: 2000. 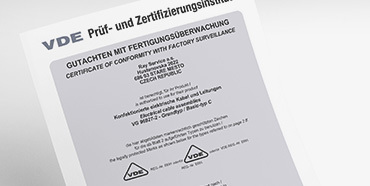 Certificate of compliance with IEC 61340-5-1 requirements for ESD production area. Certification company: SMtronic s.r.o. First certification: 2017. Based on an audit performed by Krauss-Maffei Wegmann GmbH & Co. KG our company is approved as an "A" supplier. 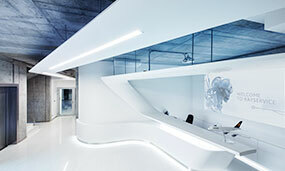 Based on an audit performed by AOA Apparatebau Gauting GmbH our company is approved as an "A" supplier. Based on an audit performed by DIEHL Aerospace GmbH our company is approved as an "A" supplier. Based on an audit performed by GE Aviation Czech s.r.o. our company is approved as an "A" supplier. Based on an audit performed by Rheinmetall Landsysteme GmbH our company is approved as an "A" supplier. Based on an audit performed by The Boeing Company our company is approved as an "A" supplier. 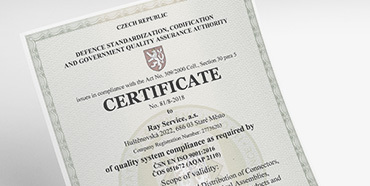 Ray Service received the prestigious "Company of the Year of the Zlín Region", which is annually announced by the "Hospodářské noviny" newspaper. In recognition of our long-term reliability and the quality of the products supplied, our company received this award in 2014. In recognition of our long-term reliability and the quality of the products supplied, our company received this award in 2013. In recognition of our long-term reliability and the quality of the products supplied, our company received this award in 2012.